Add personalization to all your gifts. 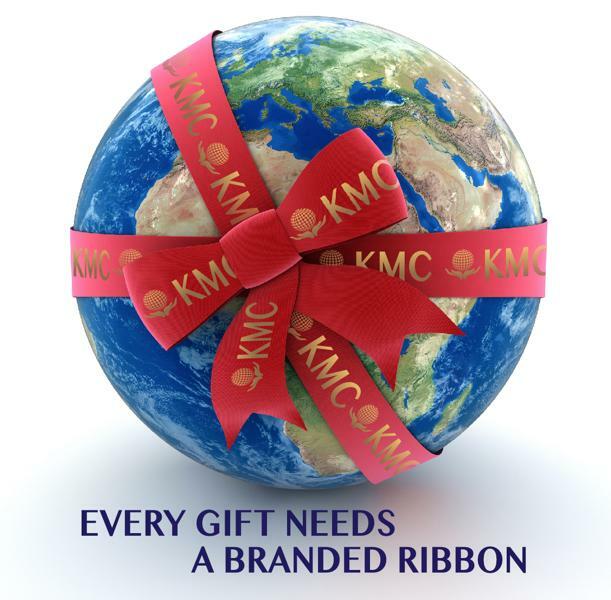 Personalized ribbons from our branded ribbon service is, a game changer for givers. Now you can add text, logos, icons, your graphics, to a wide range of ribbons. No setup charges, low minimum ~ 12 inches, fast turnaround (next day) at an affordable price. • Artwork and order/quote must be approved before 2 PM. • Personal graphics and corporate logos must be submitted camera ready EPS format. • Alternate form of artwork must be submitted before 10 AM in order for us to convert and request your approval. • Next day will only apply to in stock colors, please inquire in advance. ...every gift needs a Branded Ribbon, because thoughtfulness elegantly expressed, is more meaningful than implicit good intentions. In the message box please include: Occasion, approximate length of ribbon and specimen text. We will provide suggestions for graphics, based on occasion. Corporate logos and custom graphics can be submitted, upon receipt and approval of our quote.